Scrapping of the "Crystal Gold" was suspended in Parky Char area, near Chittagong due to environmental issues on Jan 7, 2019. The local environment department has stopped the arbitrary cutting of the vessel until further notification. The buyer of the vessel sought permission to cut it up, but the authorities regretted on grounds of environmental pollution. 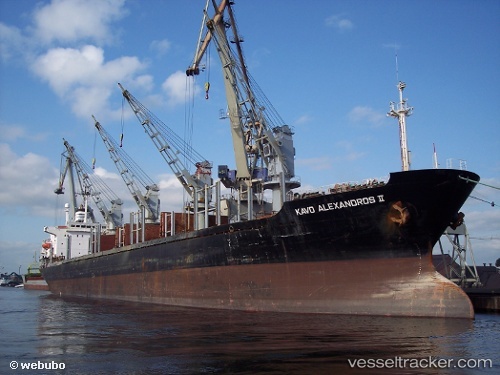 The vessel was purchased by the Four Star Ship-breaking Yard after procuring it from an auction recently on the order of local court. The vessel ran aground near Parky sea beach after the cyclone Mora hit the coast on May 30, 2017. The firm allegedly fenced off the vessel without a permit and began dismantling it, leading to damage to the local ecology in an area not designated for shipbreaking. The environment officials said the higher court auctioned the vessel but did not order to scrap it without approval from the relevant authorities. There is a designated area for ship-breaking yards in Sitakunda coast and the yards must follow regulations for beaching and cutting scrap ships in an environmentally safe way. The ship was beached at Chittagong on Apr 13, 2018, after a collision with the "Go Skar" at Chittagong Outer Ancharoge on Dec 29, 2015. At Jetty No 6 in Chittagong it discharged its cargo after the accident and did not sail again. The department issued a notice to Four Star Enterprise compelling the firm to appear in a hearing on Jan 7 and fined the company 240,000 USD after the proceedings.